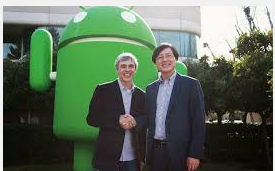 Last week, Google announced the $2.9BN sale of Motorola Mobility to Lenovo. At first glance, a $2.9BN sale for a business which cost Google $12.5BN just two years ago looks like a head scratcher at best and unmitigated disaster at the extreme. Upon closer examination, kudos goes to Google – acquiring an (i) impressive patent portfolio, (ii) solid manufacturing partner and (iii) timely strategy for software distribution. Impressive Patent Portfolio may have been the catalyst for the transaction in the first place, responding to the Microsoft / Apple / RIM acquisition of Nortel patents for $4.5BN. After watching the Samsung / Apple patent saga, it is hard to discount the value of mobile patents. Solid Manufacturing Partner: With a track record for turning around IBM’s PC manufacturing business, Lenovo may provide manufacturing expertise and potentially scale for Android handsets and down the road, PCs. Take a look at the Lenovo Yoga tablet; you may stop and stare at the great design, overlooking whether you are holding the Microsoft Windows or Google Android version. Finally, Lenovo may provide a nice counter-balance, alleviating concerns for over-reliance from the Samsung Android partnership. Time Strategy for Software Distribution: When it comes to handsets and PCs, Apple builds their own; Microsoft traditionally has broadly partnered — becoming the arms dealer in the PC manufacturing wars. Microsoft has enjoyed an enviable position for years; however, this is changing with a renewed focus on device manufacturing – including Microsoft building Surface tablets and the pending $7.4BN acquisition of Nokia mobile manufacturing assets. You do have to hand it to Google; they have deftly become the de-facto independent software provider to manufacturers – an unattainable position just a few months prior. Microsoft opened an enviable perch to Google when jumping into manufacturing of phone, tablets and perhaps one day PCs. With nearly 50,000 employees and $60BN in revenues, Google is still agile to jump up onto that perch in a matter of months from the Nokia announcement. Anticipate increasing competition and alternatives for handset, PC and tablet operating systems, particularly in the consumer market where Google and Apple will fight it out. Over the past months, Microsoft has provided quite a bit of transparency into deliberations selecting a new CEO. While at times this may have provided the rush of anticipation more aligned with reality television, it has led to fewer surprises when naming the new CEO – Satya Nadella. Indeed, Nadella’s first email to employees re-affirms Microsoft’s core values (e.g., empower people, change the world through technology) current strategy (i.e., One Microsoft; software, service, device). While fewer surprises may have disappointed some on Wall Street, looking for an event-driven jump in the stock price, the selection does provide some promising changes at Microsoft. Mr. Gates is back as technology advisor, apparently offering up to one-third of his time; what technology company would not benefit from that? 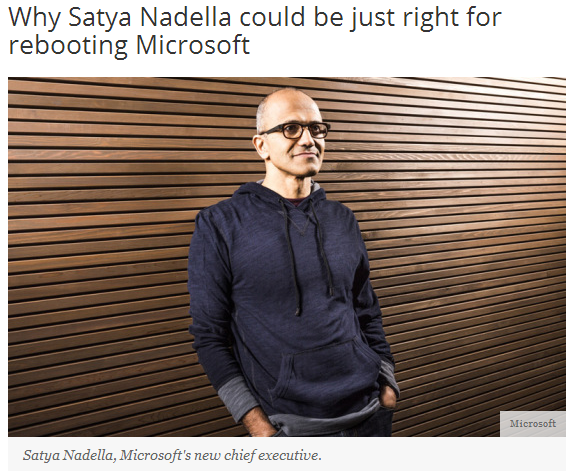 Nadella’s engineering background and exploratory management style, thoughtful approach and likeable personality will provide a change in management style from the at-times larger than life personalities of the past. When is the last time you saw Oscar Wilde quoted in an employee communication? Front and center in the first employee communication is the i word — Innovation, considered an Achilles-heal for Microsoft. While at times innovation may be over-used or misdirected internally, Nadella points out that (technology) industry respects innovation. Over time, perhaps industry respect may translate into stock price appreciation? Mr. Nadella’s executive background and description of cloud-first world certainly affirms Cloud Services. While promising and with some success with Office365 products, there are quite a few challenges for server, consumer and business applications. Product roadmaps and vision are promising; time-to-market and simplicity remain daunting – for example Azure, where there is catch-up to be played with the likes of Amazon Web Services and Hadoop providers. Will the market evolve to appreciate the complexities of Azure; will Azure simplify to meet market coherence? Earlier this month, Microsoft announced it was doing away with its stack ranking system; this caused quite a flurry of press and all sorts of discussion. Specific to Microsoft, I never completely understood the outside observer’s fuss and scrutiny applied for stack ranking; it is a rather common tool for large organizations for managing performance. In theory, stack ranking sounds like a reasonable process – appealing to a sense of meritocracy and offering points for validation. In practice, stack ranking was deeply unpopular at Microsoft. For years, stack ranking was humming along just fine at Microsoft — during periods of high growth and / or high employee turnover. There were common practices in place keeping all in balance (including applying lower rankings to retirees, new employees or teams freshly re-organized into another team). Doing away with stack ranking suggests three desired changes – slower people growth, imminent retention need, heightened desire for teamwork. Teamwork will go a long way for much needed agility to support a newly reorganized Microsoft . 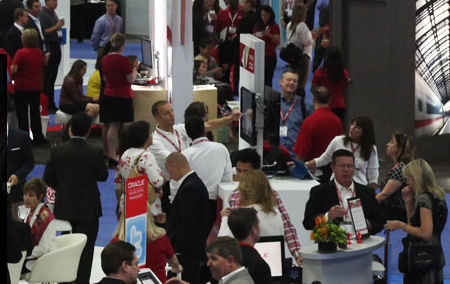 After posting feedback from HRTechnology Trade Show, a few questions popped up re: Workday. Recently, Workday shared current plans at their recent user conference – Workday Rising. Apparently over 3,500 attendees showed up to hear what is in the works – and with good reason. Workday is leading the pack of software providers with an integrated (i.e., common code base for recruitment, talent, performance, compensation in one system), cloud based, human resource offering. When taken together integrated and cloud based offers unprecedented potential for HR applications and a sneak peek into the potential power for cloud based application development. Integrated software has been a common theme (e.g., the success of Microsoft Office by stitching together authoring productivity applications). Starting with a common code base from inception, Workday has taken the same approach with human resource applications (i.e., common application for recruitment, talent, performance and compensation) and financial management applications. Human resource vendors such as ADP (with Workforce Now and Vantage), Ceridian (with Dayforce) and Ultimate Software are not far behind stitching together their offerings into an integrated human resource solution. As well, ERP providers (i.e., Oracle and SAP) are rushing forward attempting to beef up human resource modules via acquisition (e.g., SAP acquisition of SuccessFactors and Oracle acquisition of Taleo) and development efforts such as Oracle’s Fusion project. Workday’s speed is likely of particular concern for ERP players — showcasing integrated human resource and financial applications at Workday Rising. In recent years, cloud based software has offered promise with need for realization via example. According to Gartner, Workday’s offering is starting to take advantage of cloud based benefits including lower TCO; cloud based is also an enabler for Gartner described Nexus benefits including — (i) common user experience across devices, (ii) social software technology and (iii) improved data reporting and analysis from common data structures and evolving big data. Last week, PWC announced the acquisition of Booz & Co as part of an ambitious expansion back into consulting businesses. For both PWC and Booz & Co., the transaction makes a lot of sense. PWC will gain access to expertise (e.g., strategy formulation, vertical domain, organizational studies, innovation) allowing speed to market as the firm bulks up its management consulting presence. For Booz & Co., the firm will find stability after separation from Booz, Allen & Hamilton, safety with a bigger organization and perhaps improved ability to compete against fewer, bigger, stronger consulting brands. The past 2 decades have been rather confusing times with shifts in ownership and divestitures for both PWC Consulting and Booz & Co. The result is a PWC with unrealized ambitions for the consulting industry and a Booz&Co with a confusing position in the marketplace. PWC: In the wake of Sarbanes Oxley compliance, PWC Consulting was sold to IBM consulting; shortly thereafter, PWC decides to bulk back up on consulting services. Booz&Co: BoozAllen & Hamilton goes public then private in the 1970s; subsequently it operates as a consulting firm and system integrator – but only the latter for government agencies; after 2 decades, the company splits in two pushing the management consulting business off on it’s own, operating as Booz& Co. Combining Booz&Co. history and culture with PWC will be challenging; over time, I suspect much of Booz’s venerable history and culture will become hard to identify. At a minimum, perhaps PWC will retain some of the strategic insights developed by Booz, including my favorite pieces — Industry Perspectives, Global Innovation, Global Technology Report. Last week, I had the opportunity to attend the 16th Annual HR Technology Conference in Las Vegas, Nevada. Apparently, HR Technology is hot –with over 8,000 participants attending and a sea of large vendor heavyweights jumping front and center into the HR Technology space including: ADP, Ceridian, Deloitte / Bersin, Equifax, Kronos, Oracle, Paychex, SAP, Ultimate and Workday. The vendors and potential buyers are proving out market predictions suggesting an $8.1BN market, replacing HR systems in 90% of Fortune1000 companies. HR software is ripe for innovation. While current implementations are rather long-in-the tooth, (many cases representing PeopleSoft push in the 1990s and earlier), HR processes have shifted with technology trends — e-learning, web recruitment, enrollment to name a few. While in some cases point solutions (e.g., learning management, applicant tracking, benefits management) have been bolted on to systems, productivity begins to take shape with integrated offerings – reducing platforms to manage and offering simplification by connecting organizational views, insight into HR talent and processes across organizational silos. Indeed, Bersin analyst suggests that over 50% of buyers are now looking for integrated HR and talent solutions. As well, compliance is proving a catalyst for improving human resource information systems. Affordable Care Act (i.e., US Healthcare Reform Act) appears to be a marketing hook for several vendors including ADP, Equifax and Workday. If history is any indication (e.g., Y2K, SOX) compliance will again support software upgrade and migration – this time for HR software. With this upgrade, HR software is jumping to the Cloud improving scalability, feature rollout and practitioner usability – much the way we had seen a decade ago with CRM. Likewise, we are seeing the organic growth of HR data – potentially offering Big Data analytics for improving management of talent and HR assets. Indeed, analysts are already documenting the movement across HR analytic maturity models (i.e., operational reporting to ad-hoc strategic query) where Big Data may one day provide the HR holy grail – predictive analytics for human resource professional management. Doesn’t iOS 7 look and feel like Windows Metro design? Apparently, I saw I was not the first to detect that Apple metro-ized the iPhone. Unfortunately, metro-izing the iPhone brings more than just the look and feel of Windows metro design. Periodically, my iPhone crashes due to application compatibility (i.e., those iPhone apps have not been properly updated for iOS 7) and draining battery. In summary, I had switched from a relatively less popular operating system supporting fewer applications to the leading phone platform. Design improvements from the challenger platform found their way into the incumbent platform; while the incumbent platform supported more applications, it proved far less efficient and offered an inferior user experience. Is it 1995 all over again? 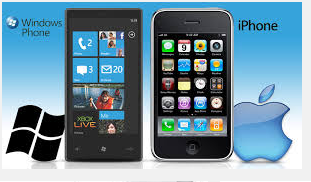 Handing over my Windows Phone for an iPhone certainly feels like turning in a MacBook for a Windows95 machine. Last week, I had a chance to visit Salesforce.com’s Cloudforce in New York. It was an impressive; Salesforce.com is pushing current thinking re: Enterprise Social Computing and is quite vocal at evangelizing their point-of-view, including YouTube postings from event with ample opportunity to see Marc Benioff share the company’s vision. 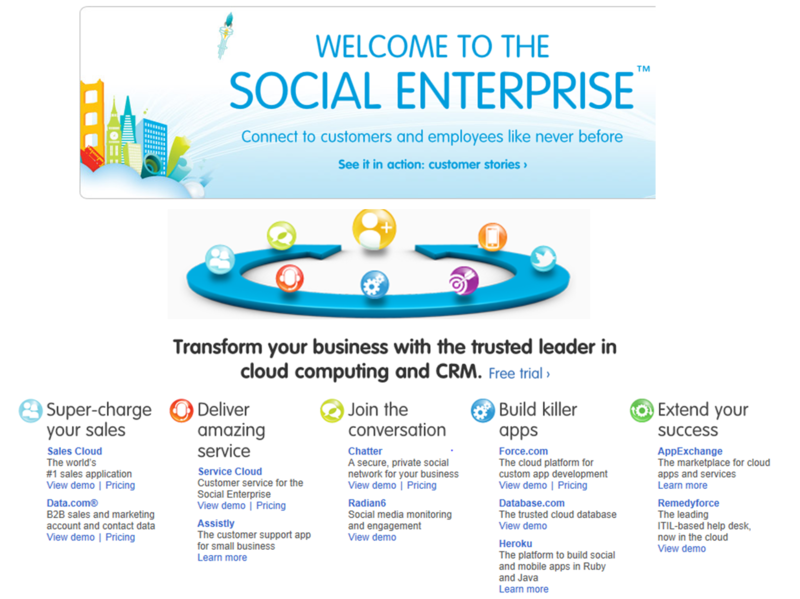 Salesforce.com is providing a vision for Enterprise Social Computing, connecting lines-of-business, customers and suppliers. This goes well beyond current convention for Social Computing where today enterprises are developing Facebook-like tools within the firewall. I would like to address Salesforce.com’s approach in three areas: Maximizing the Cloud, New Offerings and Partners. Maximizing the Cloud — every Salesforce.com employee and partner with whom I spoke was quick to point out that Salesforce.com was “Cloud” and “Open” — key points for the Salesforce.com strategy, the latter supporting the former. When pushed on current in-house infrastructure, answers were somewhat summarily addressed as “migration” and “open integration.” More work is required here. Migration is a red-light headache most IT shops will be quick to avoid. Integration requires more examples, reference architecture and proven providers to support. Finally, while I am something of a cheerleader for Cloud-based infrastructure, recognition of rationale for maintaining in-house infrastructure and secure, compliant integration is required. I suspect we will see more on this from Salesforce.com in the next wave. New Offerings were impressive both in terms of speed of development and reach across the Enterprise. Reach Across the Enterprise via making application development easier and new offerings. With Force.com and Heroku, Salesforce.com is making it easier to build applications, key to extending data applicability from sales to other line-of-business areas. Radian6 extends Salesforce.com connection with the marketing organization; recently acquired, Radian6 monitors social conversations, providing enterprises insight into brand management, customer satisfaction and location for engagement. Radian6 is a gem within Salesforce.com, providing customer data, marketing engagement and an insight for vertical applications. Finally, Assistly provides a tool for internal call-center customer support; Salesforce.com seems to be re-doubling efforts to address call center solutions. Partners seem to be having a love affair –in part, because Salesforce.com so generously acquires many and in part, because Salesforce.com provides an application development platform with little conflicts from existing applications. At Cloudforce, there was a partner pavilion where many “partners” were actually Salesforce.com subsidiaries (e.g., Radian6, Assistly, Heroku), running fairly independently today. While I am sure someone at Salesforce.com may provide better answers on the rationale for acquisitions, it was not always apparent to the newly acquired employees. Given the speed of the market, Salesforce.com is likely not waiting for these business relationships to prove themselves out; rather a hit and a few misses may be just fine for Salesforce.com acquisitions. 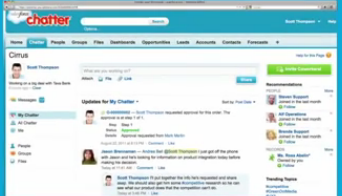 At Cloudforce, there was quite a bit of chatter about Dreamforce 2012, nearly a year away. Anticipate a much bigger partner pavilion indicating significant growth in Salesforce.com’s partner base and more acquisitions in the interim. Dreamforce 2012 seems to be a milestone for Salesforce.com to prove out their vision and strategy. Today, the vision is impressive and Salesforce.com is liberally evangelizing to anyone who will listen. The delivery is still a bit bumpy, the execution and delivery still formative. Bet on a smoother, comprehensive, partner-supported fanfare for Dreamforce 2012. It is timely to follow up from a few friendly conversations with lawyers and share a few ideas as to how technology may impact the legal industry. Initially, lawyers have shared genuine curiosity about hot topics such as Cloud computing — perhaps to improve online shopping or watching movies online. After further conversation, it is apparent that lawyers are looking for something to jumpstart frustration with the current pathway, searching for how to adapt to a changing environment. When most of us think about legal services, we don’t think about the Cloud or anything terribly different from what has been tested by time. 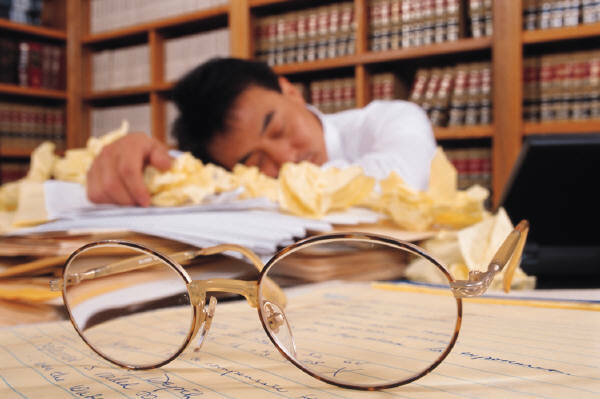 Rather, we may think about practitioners plodding away, drafting and billing away by the minute, keeping junior attorneys busy and billing, for the most part, immune from technology innovation. Yet, technology innovation has transformed other industries. A few examples include 1990’s online retailing removing bricks for clicks and rationalization of location based supply chains, 1980’s automotive industry and telecom, 1970’s financial services lowering transaction costs, post-WWII farming moving populations from the country and into the cities, to name a few. Are law firms ready for a re-make in light of the current technologies available and increasingly consumed via clients and business partners? Accounting — In the 1990’s, we saw information technology investment to hold the line on audit costs, move on-location with the client and improve speed of delivery; with freed-up know-how, we saw a corresponding growth in accounting firm specialized advisory service revenues. Will law firms provide more standard fixed-fee continuity services? How may firms translate know-how into advisory services revenue growth? Should attorneys be co-locating and improving virtual collaboration with clients? 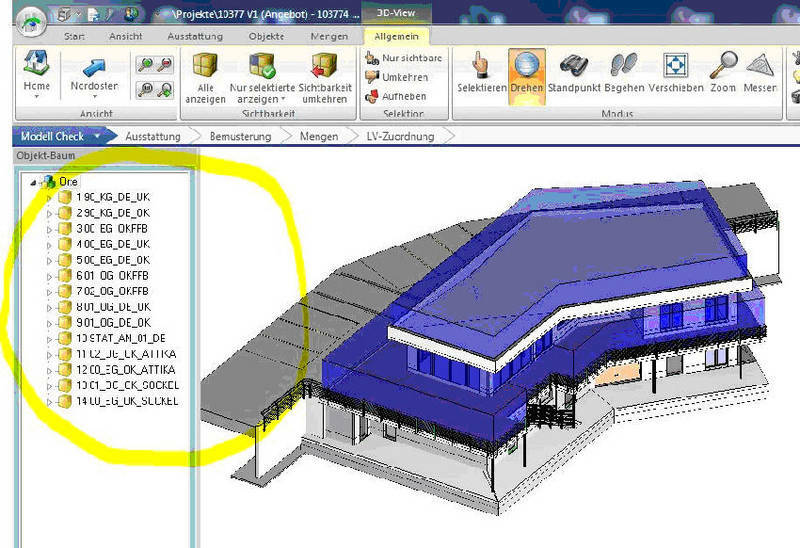 Architects and Engineers — In the 2000’s, architects and engineers enjoyed a heightened impact on construction projects when deliverable s began moving from blueprints to building information models. Engagement on construction projects was extended from design to design and build phases, improving both accountability and participation across project life cycle. Will attorneys broaden participation across project lifecycle and immerse into day-to-day business lines challenges? Will firms contemplate additional at-risk fees and corresponding upside revenue on larger projects? Will firm investment into project accountability and client operations improve transparency and develop revenue growth? Consultants — while always in the business of redeveloping and repackaging offerings, in the 1990’s firms began stepping up research and publishing efforts to showcase firm know-how outside the defined engagement. As well, consulting firms began developing data information capabilities such as benchmarking to support advisory services. How may law firms best showcase expertise and share know-how outside the defined project scope? In an era of increasing complexity for legal matters, how will organization and interpretation of data and information management support legal advisory services? Law firms and supporting companies are reformulating the tried and true status quo and providing alternatives. In the last few years, several firms have developed fixed and alternative fee arrangements to better align business interests with client needs. Firms such as Seyfarth Shaw and Orrick have applied client driven outsourcing strategies and process improvements to create more standard service offerings; as well, firms such as Fenwick & West are creating new offerings to broaden participation and continuity. In each case, critical for success was putting in place supporting technology infrastructure and firm processes. New firms have emerged to improve service offerings. Taking learnings from business process outsourcing, Axiom Legal is offering a managed service approach for day-to-day operational requirements of firms, augmented with consulting services for targeted specialized areas. VLP Law Group makes the most of technology to enhance internal collaboration and virtual legal service delivery. Both examples are pushing traditional definitions for a law firm, the workplace — supported by mobile, sharing technology. General counsels are also taking a constructive approach for managing transformation thru education and sharing thru organizations such as Association of Corporate Counsel and publications such as InsideCounsel and performance benchmarking studies from organizations such as Corporate Executive Board. Over time, efforts may provide the much needed information and metrics to support a new basis for performance measurement. A critical lever for service improvement is how we may bring parties together; this is a natural role for technology — collaboration, virtual presence and improved knowledge sharing among parties. Legal OnRamp is making the most of the web to connect and share general counsel and firms, offering a forum for sharing and improving insight. Similarly, in the consumer and small business segment, emerging players such as RocketLawyer are offering alternatives for connecting clients with lawyers. In a changing environment, one area we may expect to remain constant is the value received for law firm services, offering specialized know-how and distinct perspective. The how and corresponding business model formuations is ripe for innovation around the edges with technology to jumpstart value delivery. Oracle does provide entertaining commentary re: the Cloud, somewhat harmless, unless taken too seriously. Mr. Ellison does understand the potential for applications in the Cloud, an early and current investor in NetSuite — an early cloud based ERP provider. The Cloud is creating a shift in infrastructure architecture, much like what we have seen moving from mainframe to minis, and minis to PC’s; with Oracle’s leading position in enterprises, they have much to lose to other providers and much to gain by slowing the trend and attempting to catch up / get ahead of the market. To the last point, Oracle does provide colorful commentary suggesting other vendors have been over-reaching with Cloud computing, requiring further scope and definition and prematurely ascerting unfounded capabilities. Oracle will likely take advantage from other players missteps, providing a thoughtful methodical approach consistent with what Oracle customers would expect from an enterprise software company. Time and technology innovation will likely shake Oracle’s aversion for multi-tenancy solutions. 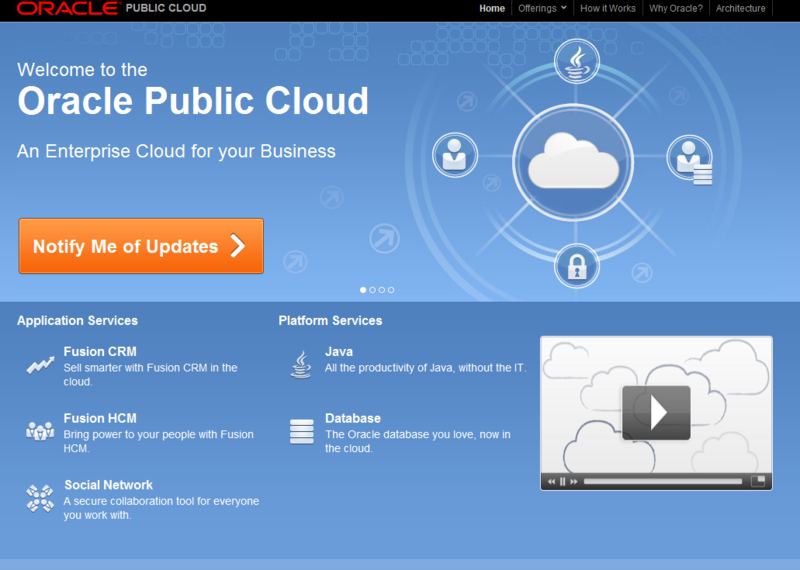 As well, the Cloud may provide Oracle with alternatives for an already stretched Fusion strategy.